Apple is joining forces with Google, Facebook, Microsoft, Twitter, and several other technology companies and civil liberties groups to request via letter that the U.S. government offer greater surveillance transparency, allowing Internet, telephone, and Web-based service providers to give consumers regular reports on security related requests, reports AllThingsD. "Basic information about how the government uses its various law enforcement–related investigative authorities has been published for years without any apparent disruption to criminal investigations," a copy of the letter obtained by AllThingsD reads. 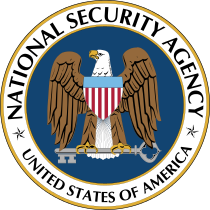 "We seek permission for the same information to be made available regarding the government’s national security–related authorities." -The number of requests that sought communications content, basic subscriber information, and/or other information. The request comes after news of a top secret intelligence gathering program called 'PRISM' leaked in June, where a number of tech companies, including Apple, were accused of providing the U.S. government with direct access to user data. Apple later clarified its position with a statement of its "Commitment to Customer Privacy," denying participation in PRISM and noting that the company conducts a thorough evaluation of each law enforcement request for data and aims to "retrieve and deliver the narrowest possible set of information to the authorities." That's a good start, but I think we need a major overhaul of the Patriotic Act and the FISA court. I'm glad the American public is starting to understand what us Libertarians have been screaming about for years..
Understanding comes from hardship. The entire western world has been fortunate enough to live in the lap of luxury for a long time now. We don't really understand what it means to have freedoms taken away. Hopefully we never find out, but the trend is frightening. The government needs to be operating above board. All these excuses about why they need to have secret laws with secret courts is not justified. The government gets away with a lot. Extortion, murder, illegal surveillance, etc. It's all okay if the government's doing it, but if I were to, I'd be locked up. We have a long way to go for the government to be operating "above board". Big Brother must be shaking in his boots! What about liberals have been screaming about for years? Liberals were screaming about the patriot act since before it was even passed. That's all nice and well, but Google (and a few other companies) have published (http://www.google.com/transparencyreport/userdatarequests/) so-called "transparency reports" for a long time ... and then we learned from the Snowden leaks that they were missing all of the "national security"-related requests and were thus not transparent at all. How can they expect people to trust in whatever new numbers they cook up? Liberals WERE screaming about it for years, and rightly so. They screamed about it right up until January 19th, 2009. Most don't care about the PATRIOT Act or the FISA courts now that a Dem is POTUS. You still have a number of more introspective progressives at EFF and the ACLU who realize that kind of power shouldn't be at the disposal of ANYONE in the government, regardless of party. Many rank-and-file liberals just don't care now that its Obama who wields the stick. That is certainly the problem with blind partisanship, on both sides. PRISM was started under Bush, and greatly expanded under Obama. It was a knee-jerk reaction to September 11, and should have been fought by everyone. Alas, as you say, most just toed the party line. The NSA? Transparent? They make the FBI look like blabber mouths. Good luck.